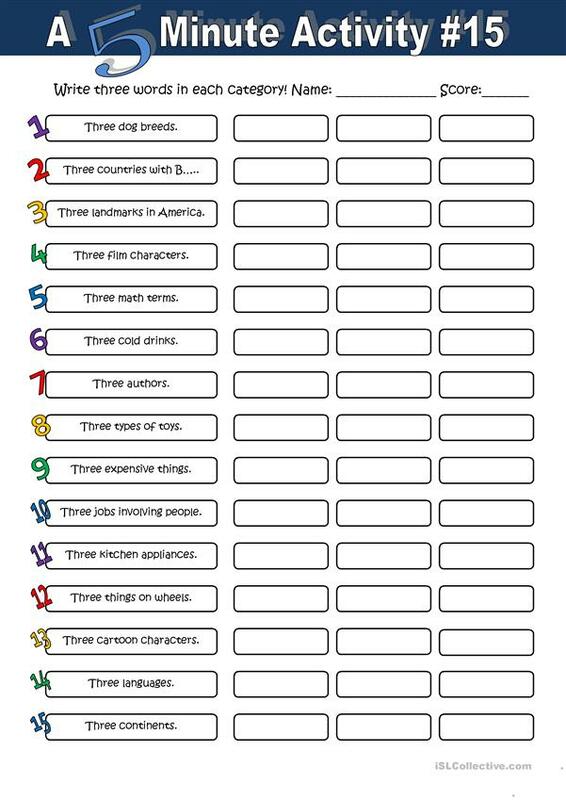 Just another one where students must write 45 words (3 in each category). The present downloadable worksheet is intended for business/professional students, high school students, elementary school students and adults at Elementary (A1), Pre-intermediate (A2), Intermediate (B1), Upper-intermediate (B2) and Advanced (C1) level. It was designed for enhancing your learners' Spelling, Reading and Writing skills.